Dum vivo, somnium. Dum somnium, cresco. I have recently moved to Boston University for a postdoc. Please see my new webpage here. I am a Ph.D. student at the Department of Electrical Engineering, Columbia University, where I am co-advised by Prof. Gil Zussman and Prof. Cliff Stein. I graduated with the B.Sc. degree from University of Belgrade, School of Electrical Engineering, in 2011 and started my M.S./Ph.D. program at Columbia University right after. 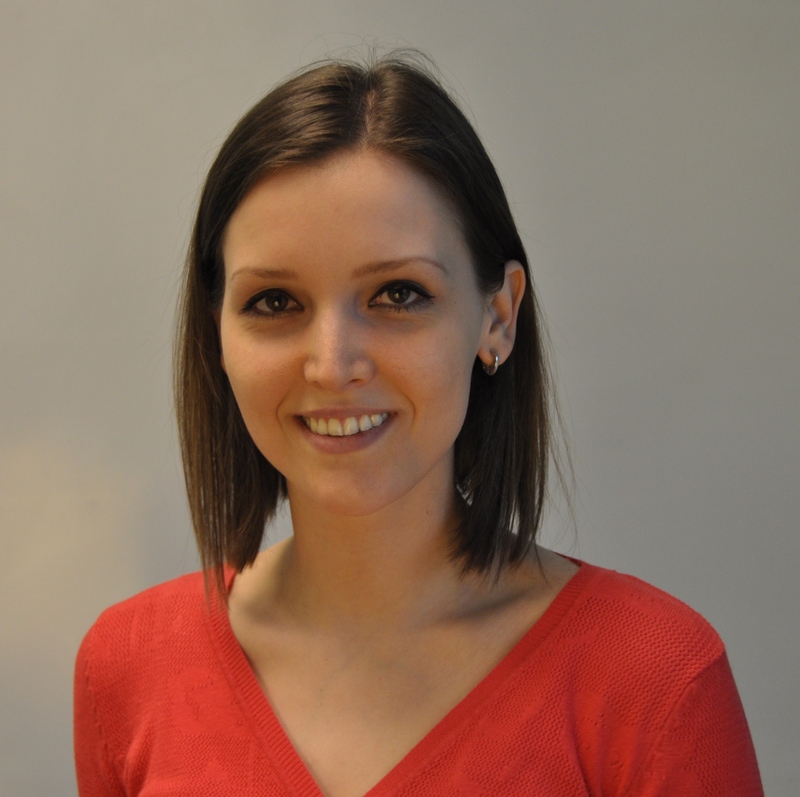 My main research interests are in the area of optimization algorithms, with applications in wireless networks. The wireless networking applications I am currently interested in are energy harvesting networks and full-duplex networks. I am a Ph.D. student at the Department of Electrical Engineering, Columbia University. I am advised by Prof. Gil Zussman and Prof. Cliff Stein. My full CV can be found here. J. Marašević, C. Stein, and G. Zussman, “Max-min Fair Rate Allocation and Routing in Energy Harvesting Networks: Algorithmic Analysis,” Algorithmica (to appear), 2016. J. Marašević, J. Zhou, H. Krishnaswamy, Y. Zhong, and G. Zussman, “Resource Allocation and Rate Gains in Practical Full-Duplex Systems,” IEEE/ACM Transactions on Networking (to appear), 2016. J. Zhou, J. Marašević, G. Zussman, and H. Krishnaswamy, “Co-design of Full-duplex RFIC and Resource Allocation Algorithms,” IEEE PA Symposium, Sept. 2015. My profile on the MIT EECS Rising Stars webpage. Columbia Electrical Engineering article about my participation as a young researcher in the 3rd Heidelberg Laureate Forum. Columbia Electrical Engineering article about Tugce, Dessi, and myself being selected for the MIT EECS Rising Stars Workshop. Columbia Engineering article about our winning of the Qualcomm Innovation Fellowship 2015 award. 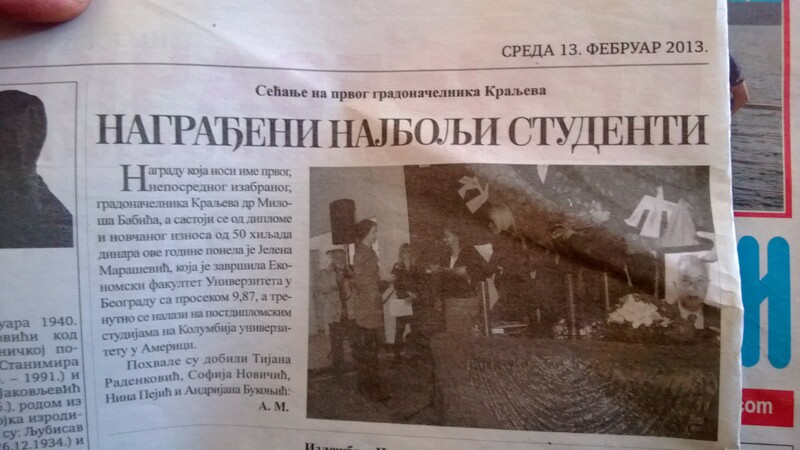 Some of the newspaper alrticles about winning the "Dr Miloš Babić" scholarship award: Kraljevačke novosti, Večernje novosti, Glas javnosti. My lecture notes on distributed matching for the "Matchings" class. I was listed as one of the 10 Women in Networking/Communications That You Should Watch! We will have an invited paper at ACM HotWireless'16! I successfully defended my Ph.D. thesis! Our paper titled “A Fast Distributed Stateless Algorithm for α-Fair Packing Problems” just got accepted to ICALP. I presented our work on distributed and stateless α-fair packing at an RSRG seminar at Caltech. Our paper titled “On the Capacity Regions of Single-Channel and Multi-Channel Full-Duplex Links” just got accepted to MobiHoc'16 (18.7% acceptance rate). I presented our work on full-duplex at Bell-Labs. My profile is now live on the MIT EECS Rising Stars webpage. Jin Zhou and I presented our work on full-duplex at the PA Symposium. I have been selected as a participant to attend the 3rd Heidelberg Laureate Forum. So excited to meet other young researchers and Abel, Fields, and Turing laureates! The story about our winning of the Qualcomm Innovation Fellowship Award is live on the Columbia Engineering webpage. Jin Zhou and I won the Qualcomm Innovation Fellowship 2015 award! Our paper titled “Resource Allocation and Rate Gains in Practical Full-Duplex Systems” has been accepted to ACM SIGMETRICS'15 (acceptance rate 13.4%). My joint project proposal with Jin Zhou from CoSMIC lab, Columbia University, has been selected as one of the finalists for the Qualcomm Innovation Fellowship 2015 award. I have been selected for an N^2 Women Fellowship award to organize an N^2 Women event at ACM MobiHoc 2014. Our paper titled "Max-min Fair Rate Allocation and Routing in Energy Harvesting Networks: Algorithmic Analysis" was accepted to ACM MobiHoc 2014 (18.9% acceptance rate)! I was invited to present our work on teaching cellular networking with WiMAX hands-on labs at the 19th GENI Engineering Conference (GEC19) held in Atlanta, Georgia, March 17-19. I have been invited to attend a dinner and networking reception for the Engineering Consortium Career Fair as a student leader and representative of GradSWE! I was awarded the Millman Award for Outstanding TA and the MS Award of Excellence from the EE department of Columbia University! I was accepted into a summer school on green communications and networking, GreenComNet, being held in Boston May 28-31. I was also awarded full financial support to attend it! Our paper on teaching with WiMAX won the Best Educational Paper Award at GREE2013. My paper titled "WiMAX in the Classroom: Designing a Cellular Networking Hands-on Lab" has been accepted to The Second GENI Research and Educational Experiment Workshop (GREE2013), co-located with GEC16. I was awarded a travel grant to attend The 16th GENI Engineering Conference (GEC16) in Salt Lake City, Utah. I was awarded "Dr Milos Babic" Scholarship by the City of Kraljevo! I was appointed the Corporate Chair position in the GradSWE executive board for 2013! As of October 17, 2012, I hold an MS degree in Electrical Engineering from Columbia University. I will be attending CIAN Retreat October 21-23 in Manhattan Beach, CA. I won Yahoo! Yodel Your Thoughts Scholarship Award!